Digital marketing is classically defined as the marketing of products or services using digital technologies. The term was coined in the 90’s when the internet was just making becoming a viable conduit for business. As the years have passed, and technology has advanced and changed in myriad ways, so too has the face of digital marketing. The most recent change is found in Cryptocurrency Digital Marketing. Digital medium can range anywhere from the internet, to cell phones, and even digital displays – like bus stop screens or digital billboards. When the term was first introduced and accepted, it had a much more tangible presence. As the internet became more readily available and accepted by society, digital marketing began to encompass more obscure forms of marketing, such as search engine optimization, or social media marketing – and now, cryptocurrency digital marketing. Digital marketing has begun to cater specifically to different industries, not just different purveyors of advertisements. One of the many reasons that cryptocurrency digital marketing is a must-have asset to any cryptocurrency business. A new, non-linear approach to advertising was forcibly adopted in recent years to satisfy contemporary marketing trends. Where once blatant product placement and obnoxious advertisements were enough attracting to customers, consumers now demand a value exchange model of mutual dialogue. They are wanting to ask specific questions, and in turn, receive individually tailored answers. Seeing products and services referenced on platforms that consumers already place value in or feel confident about, reinforces the inherent credibility that the product or service has. When consumers use specific words in a search engine, they want to see credible results that contain those exact terms. The spread of information has exploded through easily obtainable conduits like the blogosphere, Pinterest, Facebook, among a large variety of numerous other platforms. Search engines are wising up to the value of content and how it relates to the results they deliver. Likewise, digital marketing firms are also upping their game and content in response. Ensuring that anyone who finds your business in a search engine results list can easily find other reliable content supporting your claims. Increasing accessibility, while at the same time improving visibility. Imagine being able to bring your cryptocurrency business into the hands of people from all over the world, through any number of sources, through the use of one firm. 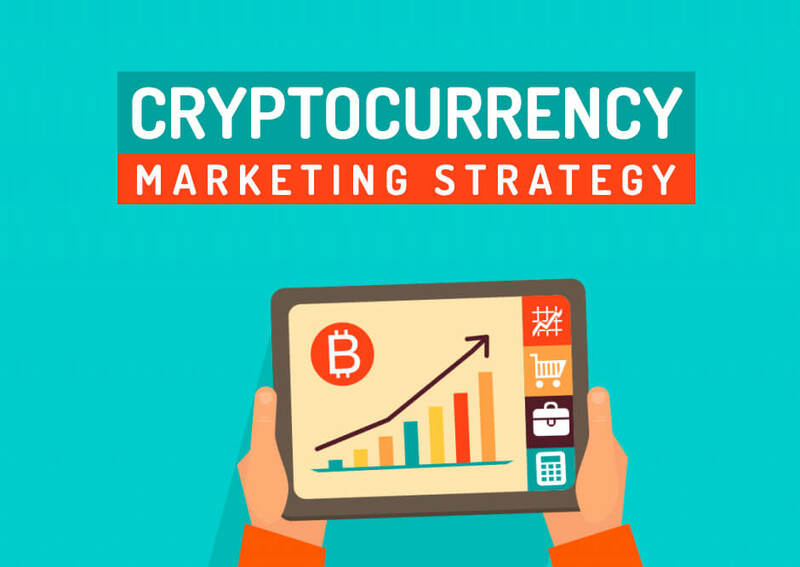 Cryptocurrency digital marketing is the most cost-effective form of advertising for businesses because it doesn’t pursue just one avenue of advertisement, but hundreds of avenues, all at once. The cryptocurrency industry has brought about the notable change in the business world. Many different traditional business strategies, marketing campaigns, and financial structures have been brought to extinction or rendered obsolete through crypto technologies. Cryptocurrency and its accessory technologies have become integral to other, more forward-thinking modern business practices that have embraced it. The demand for cryptocurrency has seen a huge increase in the last three years. This sudden change in the marketplace has caused many tried and true marketing strategies to become antiquated and largely useless. Owing to the need of cryptocurrency digital marketing, and a firm that understands how best to improve the visibility of your business in the contemporary market. Most companies that are seen to embrace new technologies get an almost automatic brand boost, seen as “edgy”, “innovative” or “clever”. Improving sales and connecting with customers you might not normally attract. The keyword here is “seen”. With the wide-reaching spread of information, as mentioned before, becoming unique, edgy, or trendy just in the eyes of the social media dwelling public can quickly move businesses into top rung retailers, assuming that business is part of the online community and discussion. It’s patently obvious, when looking at the present and future of cryptocurrency, that without a highly visible and well manicured online footprint, all the brilliant and novel business concepts in the world won’t get you far. Because of the widespread unfamiliarity of cryptocurrencies, coupled with often confusing and convoluted accessibility to the currencies themselves, potential clients will find themselves relying heavily on transparent and easy to understand digital marketing campaigns in order to generate excitement and trust in the infantile stages of cryptocurrency. When discussing a digital product, cryptocurrency digital marketing is the best way to extend your ideas and expertise to a customer base. People have a tendency to entrust their technical questions to the technology itself. Through cryptocurrency digital marketing, your business can become a trusted authority with consumers early on, gaining a wider customer base and time to build a reliable reputation within crypto technologies. Which may prove to be difficult to achieve without digital marketing, given the volatility of the market. Working closely with web design teams, SEO strategists, and other business development departments, cryptocurrency digital marketing firms are striving to find ways to expand accessibility and generate widespread adoption of cryptocurrency businesses. In the humble opinion of this particular blogger, that adoption is bound to come, and with it, you will want to make sure that your business and your customers are prepared for the shift that comes with it. Are you and your team ready?